Original Jurisdiction– the court that gets to hear the case first. For example Municipal courts typically have original jurisdiction over traffic offenses the occur within city limits. Appellate Jurisdiction– the power for a higher court to review a lower courts decision. 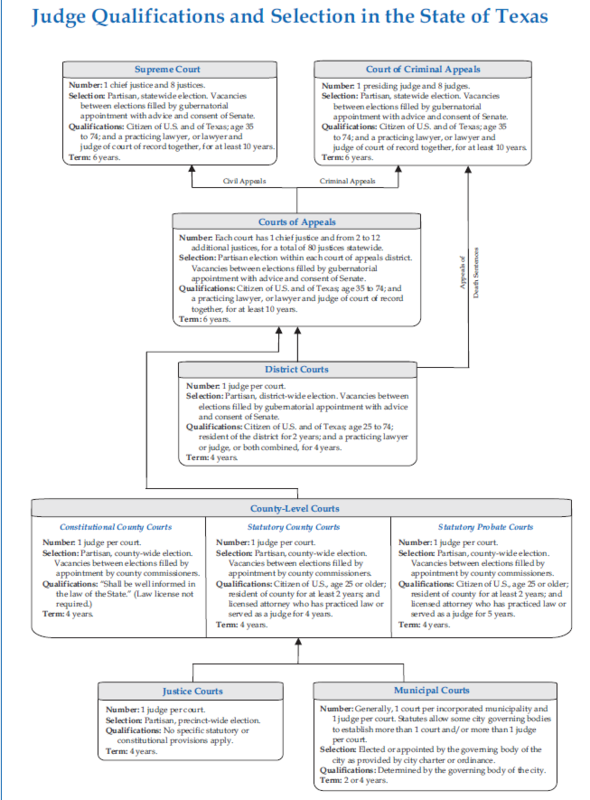 For example, the Texas Court of Appeals has appellate jurisdiction over the District Courts (See the hierarchy of Texas Court Structure in this Unit). Exclusive Jurisdiction– only that court can hear a specific case. For example only the Texas Court of Criminal Appeals Court can hear appeals for death penalty sentences. There are two types of crime: misdemeanors and felonies. Misdemeanors are considered minor crimes, and felonies are defined as major crimes. There are two basic methods used to select judges: 1. election 2. merit plan. Sometimes the merit plan is referred to as the Missouri Plan, and consists of an individual selected to become a judge based on their qualifications and/or experience. 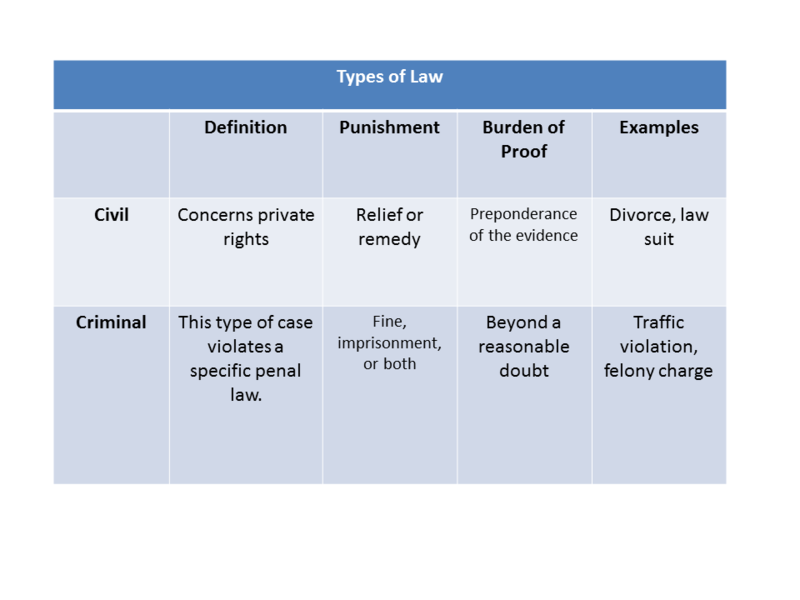 Texas elects their judges (except at some of the municipal levels), and the table below depicts the specifics for each level of court.